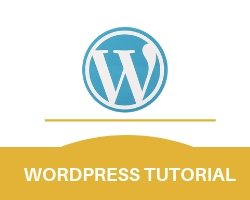 In this WordPress tutorial we will learn how to develop a website easily. WordPress is a free and open source blogging tool and a content management system (CMS) based on PHP and MySQL. WordPress used to create a beautiful website or blog. It is the most popular blogging system in use on the Web. WordPress has used by more than 23.2% of the top 10 million websites. WordPress is the best for your personal blog or business website. There are thousands of plugins and themes available to transform your site into almost anything you can imagine. Over 60 million-people have chosen WordPress to power the place on the web. its founders are Matt Mullenweg and Mike Little. WordPress first appeared in 2003 as a joint effort between Matt Mullenweg and Mike Little to create a fork of b2. Christine Selleck Tremoulet, a friend of Mullenweg, suggested the name WordPress.